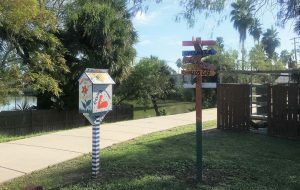 Leave it to a Cameron County, Texas, physician/city commissioner to come up with a trail network that not only benefits the health of her city, Brownsville, but also its surrounding communities — Los Fresnos, San Benito, Rancho Viejo, Laguna Vista, Port Isabel, South Padre Island, Los Indios, Rio Hondo, Harlingen and Combes — all of which make up one of the poorest counties in the nation. Rose Gowen, M.D., used her medical knowledge and compassion to bring good health and much-needed outdoor activity to her community. Gowen, a Brownsville native, graduated from the University of Houston in 1980. 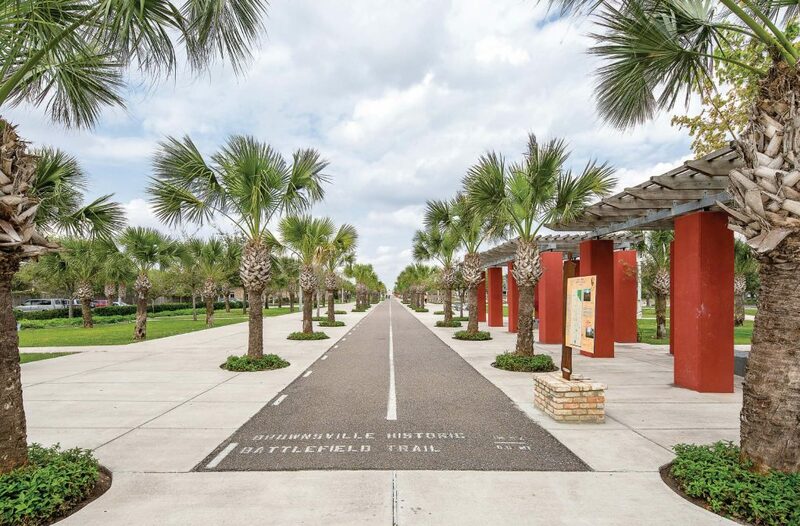 “In 2007, I was visited by Dr. James McCormick, the dean of the University of Texas School of Public Health here at the Brownsville Campus,” said Gowen. As Gowen became involved she learned what the RAHSC was finding: one in three people are diabetic and 50 percent of those people are unaware they are; the state had the highest limb amputation rate; and it also had very high rates of nonalcoholic liver cancer. All of these were due to very high rates of obesity and could be avoided with healthy eating and increased physical activity. These published scientific findings guided Gowen’s public health team and community members to work toward healthy eating choices and active living — as well as the policy that promotes these things. In writing a weekly newspaper column and getting highly involved with creating a farmer’s market, Gowen grew to see that “health” was not being looked at or spoken about in city government. “I decided to run for office to change that,” said Gowen, who had also learned the economic impact of being unwell and wanted to make policy makers aware and responsive. The group applied to the Legacy Foundation for funds to create a plan to connect their cities and was awarded $100,000. Each city then put approximately $10,000 of its own money into the pot and was able to hire expert consultants and achieve what is now called the active plan. This visionary endeavor consists of 428 miles of trails and routes both on and off the road, plus in the water. The active plan was finalized and adopted by all cities in 2017, and Gowen and her team are currently working on a governance framework. No formal partnership policy exists at this time, but all donations are welcome, according to Gowen. According to Brandi Horton, the communications director for the Rails-to-Trails Conservancy, the nonprofit organization is dedicated to creating a nationwide network of trails from former rail lines and connecting corridors, building better places for improved people. The organization has more than 160,000 members and supporters; 3,000 miles of rail-trails and multi-use trails; and more than 8,000 miles of potential trails. The goal is constructing more walking and biking communities nationwide. “I couldn’t be happier to see it come to fruition,” she said. 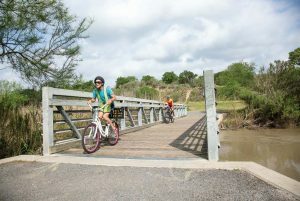 “The town of Rancho Viejo is very proud to be part of the innovative Lower Rio Grande Valley Active Plan. We know our area of the country is in a high-risk zone for increased incidence of diabetes, obesity and poverty. Additionally, the Lower Rio Grande Valley lacks the adequate infrastructure and opportunities for pleasant and safe outdoor activities. The active plan serves to remedy these problems in one fell swoop. More TrailNation and active plan information can be found at www.railstotrails.org/activeplan.